“Peoples of the Susquehanna River,” a documentary about the indigenous predecessors to European settlers who thrived along one of the world’s oldest waterways, will be shown at Susquehanna High School, 3192 Turnpike Street, Susquehanna at 2 pm on Saturday, May 26 and at the Keystone Theatre, 601 Main Street, Towanda on Friday, June 1, at 6 pm. The film was produced by WVIA and covers the history of Native American tribes such as the Susquehannocks and Lenni Lenape that inhabited Pennsylvania, as well as members of the Iroquois Confederacy who lived in what would become New York state and who guarded the southern door of their territory at Teaoga Point or present-day Athens. Highlights include breathtaking scenery and varying perspectives by historians and descendants of the Native Americans who maintain an active culture and enjoy telling their stories. 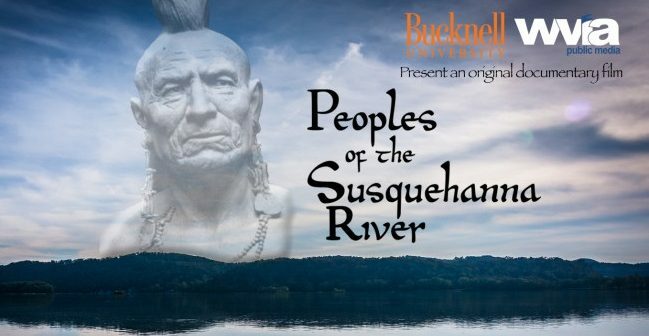 “Peoples of the Susquehanna River” is being shown free-of-charge as a partnership between WVIA, Bucknell University and the Endless Mountains Heritage Region, which serves and represents Bradford, Sullivan, Susquehanna and Wyoming counties.